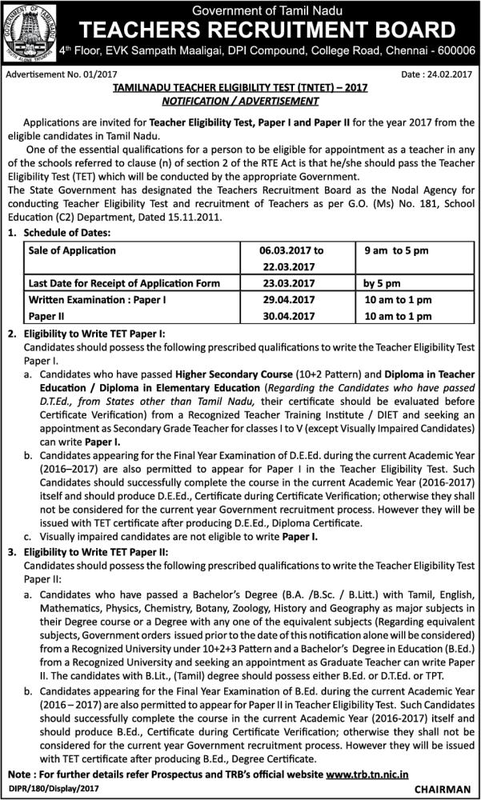 TamilNadu Teachers Eligibility Test 2017- Please click here for (TNTET) - 2017- Click Below for Notification, Syllabus and Materials. TRB- TNTET - TET-STUDY-MATERIALS-PAPER-1 & 2-QB-WITH ANSWERS BY KAVIYA COACHING CENTRE - ,DHARMAPURI.CONDUCT NO : 9600736379. TRB- TNTET - TET-IMPORTAT-MATHS-PAPER-1 & 2-QUESTIONS WITH ANSWERS BY KAVIYA COACHING CENTRE - KUMAR M.A, B.ed ,D.T.Ed HDCA.THE DHARMAPURI CO -OPRATIVE SUGAR MILL MATRICULATION SCHOOL,PALACODE,DHARMAPURI.CONDUCT NO : 9600736379. TRB- TNTET - TET-PAPER-I & 2 -SOCILAL SCIENCE -IMPORATANT FULL MATERAILS-3,4,5 & 6-FULL TEST PRACTICE BY KAVIYA COACHING CENTRE - KUMAR M.A, B.ed ,D.T.Ed HDCA.THE DHARMAPURI CO -OPRATIVE SUGAR MILL MATRICULATION SCHOOL,PALACODE,DHARMAPURI.CONDUCT NO : 9600736379.